As a kid my Step-Mom used to make this amazing dip that everyone loved. Turns out it is called Texas Caviar. 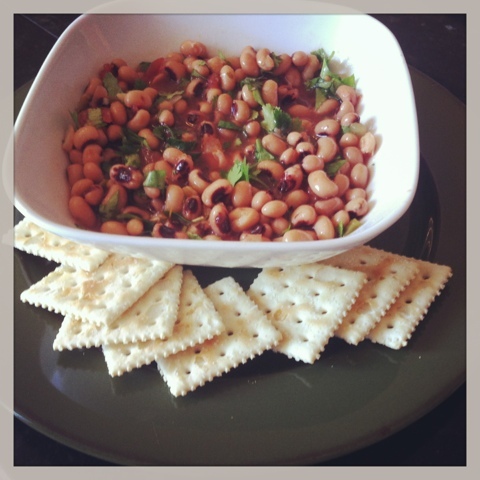 I made it new years eve, because black eyed peas are said to be good luck. I decided I could for sure lighten it up. Mix all ingredients together and let chill for about an hour or more. I like to serve mine with saltines, but you could also serve this with tortilla chips. Fun little change up to the normal appetizers. The entire bowl is 340 calories, making it about 42 calories for 1/4 cup. ENJOY!